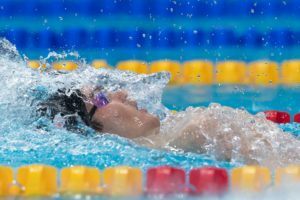 The Italian national team for the next LEN European Swimming Championship is now complete, with 50 swimmers named to the roster. After announcing a 31-swimmer roster in May, more were added after results from meets after Nationals, including 6 named this week. The Italian Head Coach, Cesare Butini, wanted to bring the Italian relay at the highest level, especially in preparations for the 2020 Tokyo Olympics. This afternoon, in a statement of the Italian Federation issued the final list of athletes who will take part at the European Championships in Glasgow. The National head coach, Cesare Butini, awaited the results of Settecolli Trophy and the conclusion of the Helsinki European Junior Championships. Looking at the performance expressed in these two events, Butini chose Anna Pirovano, Luca Mencarini and Philip Berlincioni for new individual events. 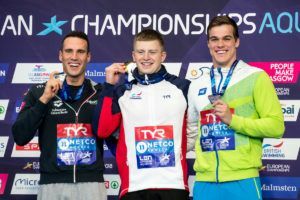 This time ranks 18th in the world this season, but if we regard only to Europeans swimmers, Mencarini jumps to eighth place and has sights on a final. The possibility of a European semi-final is more than a hope. 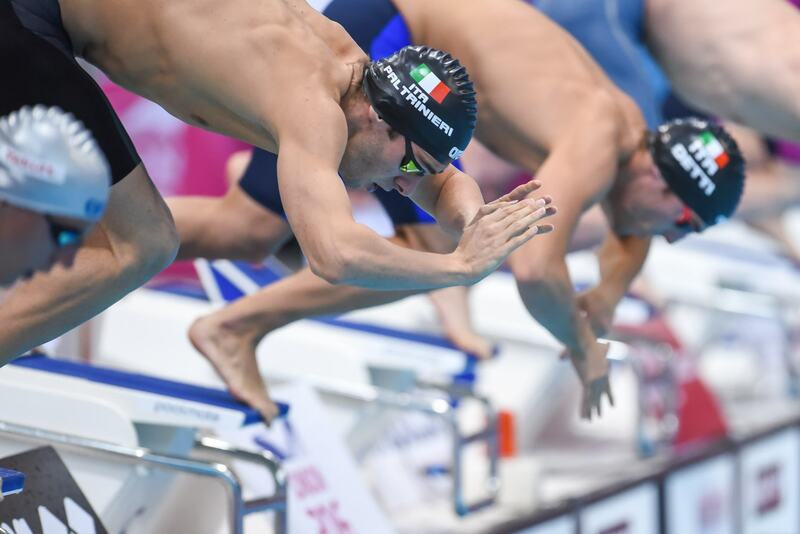 The choice of Alessio Proietti Colonna, Carlotta Zofkova , Alessandro Pinzuti, concerns the medley relay and the will to bring Italy on podium. In the Italian Federation statement, there’s no word about the world Champion Gabriele Detti, who isn’t in the list as he still battles a shoulder injury suffered last year (which also kept him from swimming at the December European Short Course Championships). “Morning visits and tests where it’s finally some good news. I couldn’t have wished for a better way to start the week !! My shoulder is getting better, day after day … A little patience and hard work and I’ll do what I love most: swimming and fun, as I always had! look towards the goal, always! Now the team has been completed. Unless there is last minute news, Gabriele Detti will not be at the Europeans. 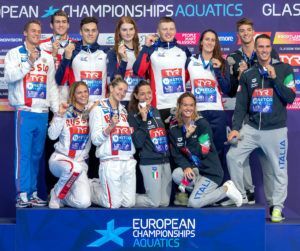 Gabriele Detti – in agreement with the national swimming technical and health staff – renounces the European championships. This is a precautionary measure, in order to avoid anticipating the time for competitive re-entry despite medical examinations and evaluation tests showing evident improvements in the left shoulder. 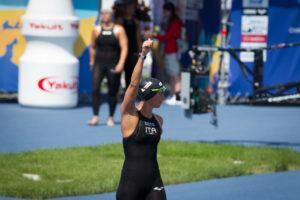 The world and European champion, as well as double Olympic bronze, has increased the training loads in the water. Continuing the specific strengthening and stabilization exercises, without highlighting problems. The goal is to start in optimal conditions the next season which will culminate with the world championships and will approach the 2020 Tokyo Olympics.